There is the old question, if you carry a gun why bother learning Krav Maga? Ahh, the questions of the ignorant. It seems like every time I come home from a Krav Maga seminar abroad I am hit with bad news. Usually I hear about it on the El Al Flight coming home; either I read it in the Hebrew paper they hand out, or I view it on the special edition of the airline TV news. Either it is the shooting of Jews in France, a terror attack in Israel, Israeli rabbinical emissaries and their families murdered in India, a busload of Israeli tourists bombed in Bulgaria; always something. And yet some of our friends around the world still think we are paranoid and "just being silly" when we insist on special security arrangements. Yes, it is still true; with all the attacks around the world and all the needless suffering and hate, we are still targeted specifically more than others. And no, we are not being self-centered. We need to take extra precautions. We do not have a "Victim mentality", we are not "stuck in the painful past" we have learned from history that we must have an aggressive survivor mentality. Others are slowly beginning to see this. Some will have to suffer needlessly until they wake up. I had just returned home from a series of seminars in Moscow when I heard the all too familiar news; another stabbing in Israel. This time it was Evyatar Borovsky, a father of five, a young man 31 years of age. Are there any words that one can say? Is there any way for this mother to comfort her child who will grow up without a father? Father and Son; to grow up without a father. 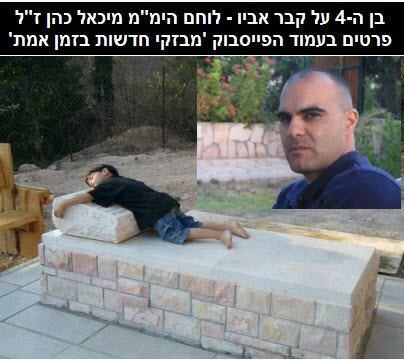 This four year old misses his dad, a hero of Israel, Michael Cohen of blessed memory, Yamam fighter who died fighting for the safety and security of Israel and its' people. The price we pay to be a "free people in our own land." Evyatar's five small children will grow up without a father; the oldest is only 7 years old. According to the papers he was attacked by an Arab with a knife. All that is written is that the Arab came from behind and then stabbed Evyatar in the chest and stomach. The papers of course are more interested in sensationalism and less in providing details that might actually help us prevent future attacks. The victim carried a handgun and the Arab wanted that handgun in order to kill more Jews. 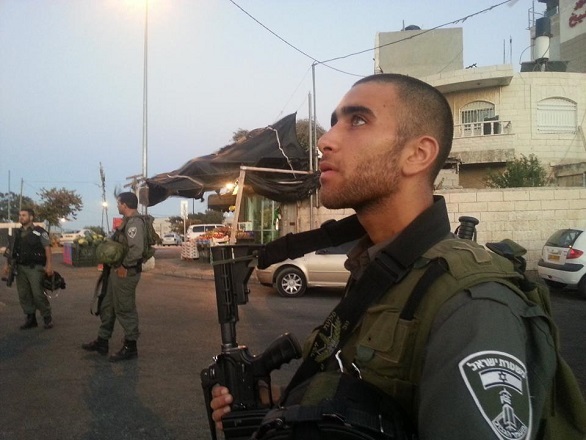 The Arab stabbed him to death, took his gun and began firing at Israelis. 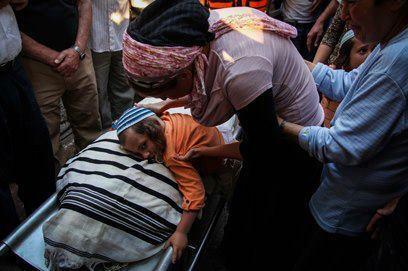 One of those Israelis fired back and stopped him. Sadly the Arab terrorist is recovering in an Israeli hospital, being taken care of by expert Jewish doctors; all at the expense of you and me, Israeli taxpayers and supporters of the State of Israel. I do not know the family and I do not know the details of the incident. But this is what I can guess. Call it an educated guess. From his name, Borovsky, I can imagine that he is either an immigrant from the former Soviet Union or a descendant of one. Either way he is the product of Jews who suffered through centuries of persecution in the lands of the gentiles. His family most likely lost members during the 1648 Chmelnitsky massacres (a murderer honored today by being on the 5 Grivnas bill in Ukraine, used daily by millions of Ukrainians. Chmelnitsky is considered a Ukrainian national hero.) His family may have lost members during the many massacres and programs of recent times, the 1871 pogrom, the 1881 pogroms, the infamous Kishinev pogrom, …etc. And now he came home, to his land, to his ancestral home, to fulfill the dream of his people, the Hope; to be a free people in our own land. And here he died, in his own land. From the little that I have heard I imagine that he was not well trained in Krav Maga. I do not mean to criticize, God forbid, or to show any disrespect to the dead, but we must always learn from real life cases. We must learn from our successes, like the woman who defended herself and her children in the Israeli town of Sde Avraham, (see Krav Maga Real Time) and also from our tragedies. 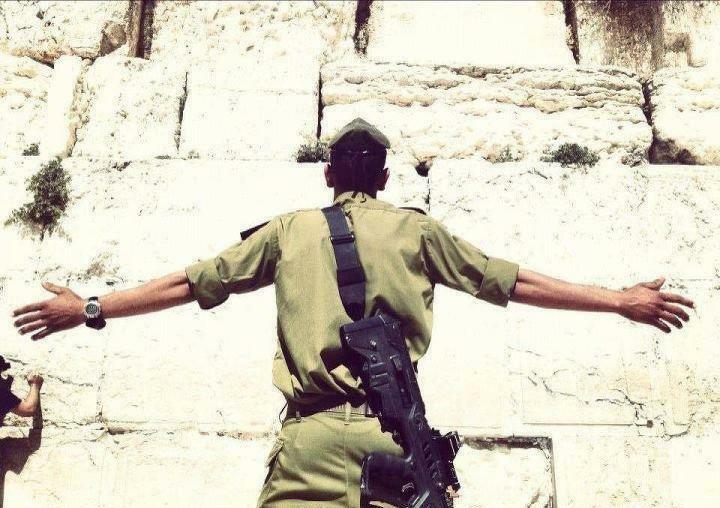 We pray for peace but prepare for war; an Israeli soldier prays at the last remaining wall of our Temple, destroyed by the Romans in the year 70. Today a mosque stands at the place of our Temple. There are no guarantees in life, there are no guarantees in Krav Maga. As an instructor I can tell you what my instructor said to me; we train, we aim to minimize damage. We do the best we can. We train constantly for this exact situation. This past Sunday in Moscow I was teaching this exact scenario. We train against knife threats and knife attacks, we train for situations were someone tries to pull your gun away, we train, we train and we train some more. I do not see Krav Maga as a luxury; I do not see it as a hobby or a sport. I see it as a method of survival. I have much respect for combat sports. Just the other day on my flight home from Moscow I saw a guy with a beautiful T shirt that reads "Israel Muay Thai Team" in blue and white, our national colors, how interesting I thought. I look up and it is my old combat pal Benny Kogan from Itays' gym. Years ago we trained together and sparred many many times. He was always a very tough fighter. We lost contact over the years but each had heard the others' name in the media. 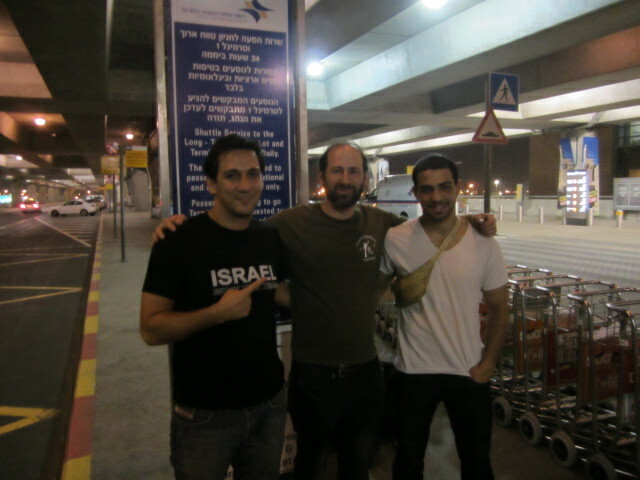 He has become Israel's premier Muay Thai instructor and in fact was just returning from Moscow, just as I was, where his student Amitai Gershon had just won a major fight. His fighters have competed successfully all over the world. As Benny pointed out, our training consisted of Muay Thai, Kickboxing, Judo, Jujitsu and Krav Maga; each one of us took the aspect that suited him most and developed in that direction. I fully respect what Benny is doing. He is developing amazing young men. My direction is less sport oriented; my concern is the next guy who is attacked by a knife wielding assailant. I try my best to increase awareness, to get more people training in Krav Maga, to understand that Krav Maga is not a hobby or a sport but simply a matter of survival. Our recent victim had a handgun but obviously the attack upon him was so sudden and unexpected that he simply did not have the time to use this gun. This is something we always stress; a gun is useless in such close counter situations if you cannot get to it on time. And in most cases as I learned from my teacher Arthur Cohen, there is simply not enough time to get to your weapon. You cannot rely on that weapon. Your first line of defense in such cases is your hand to hand combat, your Krav Maga. Let us learn from this case. Let us deepen our commitment to our Krav Maga training. If you are reading this blog for the first time and have never trained in Krav Maga; now is the time to join. If you are already a student of Krav Maga – now is the time to deepen your commitment. If you are an instructor of Krav Maga – now is the time to spread awareness, bring in more students, and improve your own skills. And may we be worthy of peace. "Israel Wants Peace! ", No need to say more. Rally for Israel in Los Angeles, USA. 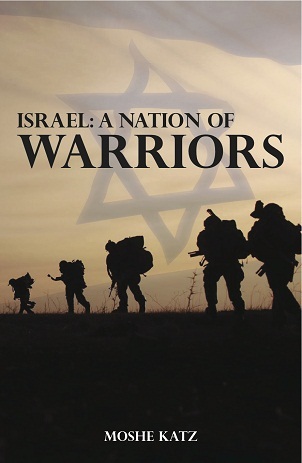 Israel, a nation of warriors. These young men train hard to protect Israel. Take your Krav Maga to the next level. 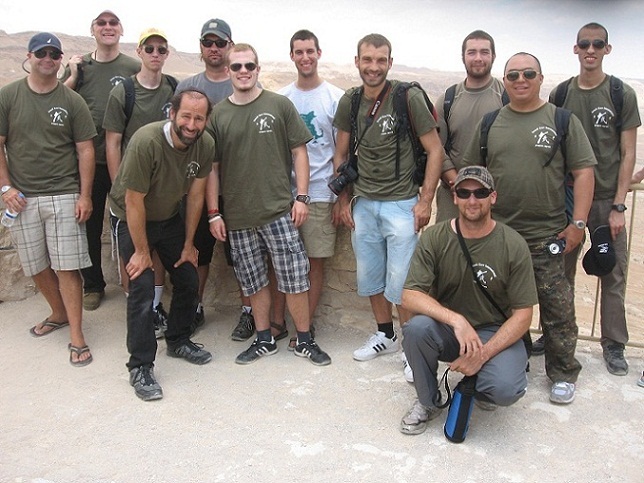 Krav Maga Tour and Train with Moshe Katz at Masada, learning about the battle between the Romans and the Jews in the year 73. Join participants from all over the world, veteran instructors and fresh beginners. The program is designed for everyone. Register and reserve your sport for Tour and Train.